2016 hingga 2019 pada persidangan perwakilan tiga tahun sekali kongres itu bulan depan. Tumpuan pastinya diberikan kepada perebutan jawatan presiden di antara pemangku presiden Datuk Abdullah Sani Abdul Hamid, bekas setiausaha agung Abdul Halim Mansor serta naib presiden Zainal Ismail daripada Lembaga Air Perak pada pemilihan 30 November itu. Abdullah Sani, yang menerajui jawatan tertinggi kesatuan sekerja itu berikutan kematian presidennya Mohd Khalid Atan pada Januari lepas, mengesahkan bahawa beliau akan bertanding jawatan tertinggi itu. 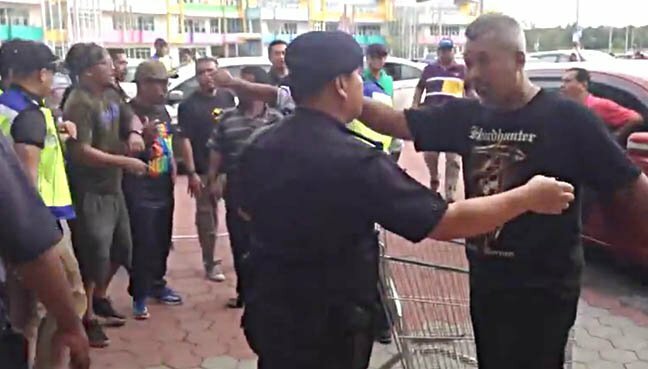 Beliau memberitahu Bernama hari ini bahawa 54 individu akan bersaing merebut 13 jawatan penting pada pemilihan itu, yang akan disertai 600 anggota perwakilan daripada 132 kesatuan pada persidangan dua hari bermula 29 November depan di Dewan Sivik, Petaling Jaya. Abdullah Sani berkata pencalonan bagi pemilihan MTUC, yang ditutup pada 4 Okt lepas, menunjukkan pertandingan bagi semua jawatan penting dan calon-calon boleh menarik diri seminggu sebelum pilihan raya. Presiden Kesatuan Kebangsaan Pekerja Telekom Mohd Jafar Abd Majid dicalonkan untuk jawatan timbalan presiden bersama-sama dengan Abdul Razak Md Hassan dan Datuk Loke Yim Pheng masing-masing daripada Kesatuan Pekerja Keretapi Tanah Melayu dan Kesatuan Perkhidmatan Perguruan Kebangsaan. Beliau berkata jawatan setiausaha agung pula dijangka menyaksikan pertandingan tiga penjuru melibatkan setiausaha agung MTUC N.Gopal Krishnam, J.Solomon daripada Kesatuan Kebangsaan Pekerja-pekerja Bank (NUBE) dan Mohamed Dauzkaply Nor Ghazali daripada Kesatuan Amanah Ikthiar, masing-masing. Penyandang Timbalan Setiausaha Agung A.Balasubramaniam pula dicabar A.Premkumar daripada Persatuan Eksekutif Maybank dan dua yang lain untuk mempertahankan jawatannya. 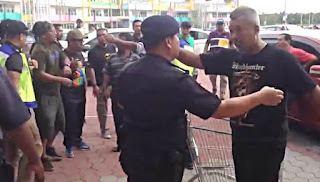 Seramai 23 anggota kesatuan dicalonkan untuk tiga jawatan naib presiden yang mewakili sektor awam, 13 dicalonkan bertanding tujuh jawatan naib presiden sektor swasta dan enam bertanding tiga jawatan naib presiden badan berkanun. 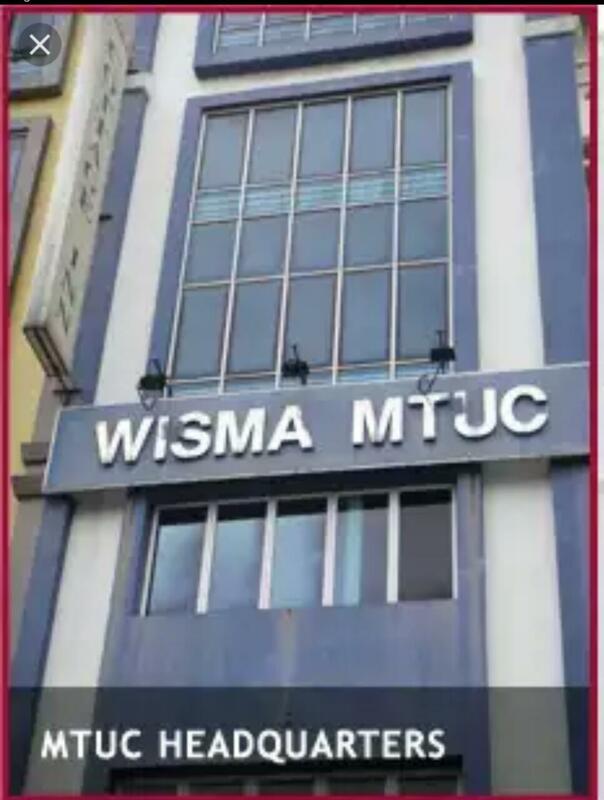 MTUC mempunyai kira-kira 620,000 anggota daripada 162 kesatuan gabungan sektor awam, swasta dan badan berkanun. INTERVIEW Mention the Trans-Pacific Partnership Agreement (TPPA) and you would see critics slamming the free trade agreement, claiming that it would make drugs more expensive and undermine the sovereignty of the country, among others. But contrary to its previous stance of opposing the world’s largest trade pact, the Malaysian Trades Union Congress (MTUC) is actually looking forward to its implementation. 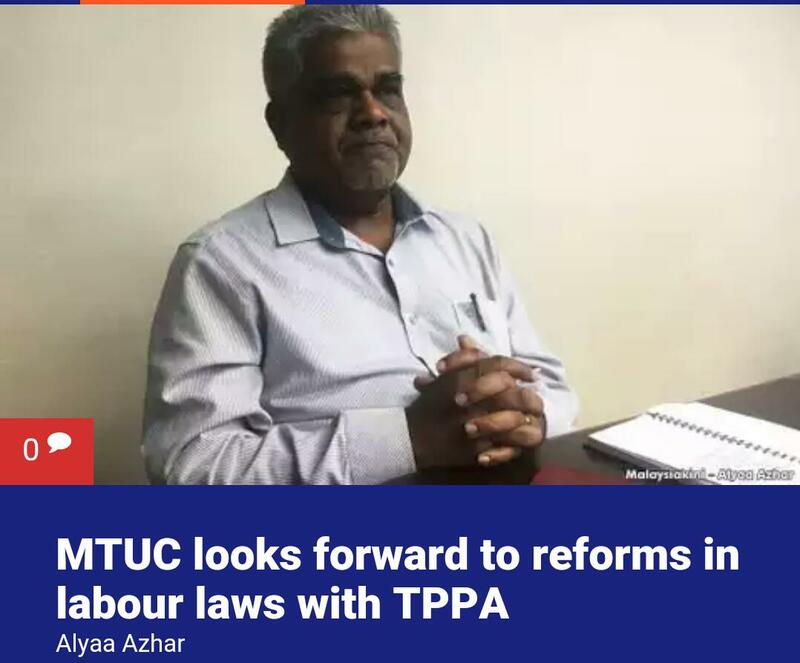 “We are looking forward to some sort of reforms in the labour laws in the country,” said MTUC secretary-general N Gopal Kishnam in an interview with Malaysiakini. This is because chapter 19 of the TPPA talks about labour rights, among others. “In addition to chapter 19, there is a bilateral agreement signed between the Malaysian government and the United States where the US government is requesting Malaysia to reform its labour laws,” he added. So when it comes to the perspective of workers, MTUC, therefore, does see some light at the end of the tunnel. Gopal, however, noted how the Human Resources Ministry is now “very busy” to be in line with the requirements of the United States. “What does that show? They are not respecting the needs of Malaysians. “Someone from another part of the world is saying, they are running for it, except now they are lost, they don’t know where to start,” Gopal noted. Despite opposition from various stakeholders against the TPPA, it was signed in New Zealand on Feb 4 this year after going through the negotiation process since 2010. The trade pact is expected to take effect in 2018. Malaysia is one of the signatories, apart from the US, Brunei, Singapore, Japan, Vietnam, New Zealand, Australia, Canada, Chile, Peru and Mexico. The TPPA aside, in the following excerpt, Gopal talks about the role of unions in the country as well as issues concerning workers. What is the role of unions in Malaysia in safeguarding workers? A very simple reason why workers are forming trade unions is simply because they believe that basic protection provided for through the Employment Act is not enough. So (it is) only through a trade union that they can enhance their benefits by way of collective bargaining or collective agreement in Malaysian terms. Have these unions been effective in playing their role? 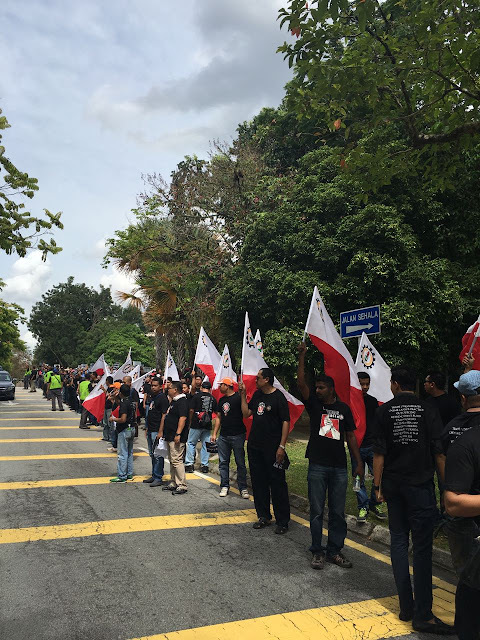 Looking at the Malaysian context, the government adapted the United Kingdom structure of trade unionism where they were divided into four categories, which means that trade unions are not freely formed. Pre-independence, there was a general union. But after independence, the general union was structured in a way that you can only form a union based on either you are an industry, work or enterprise. So the government has already divided trade unionism in the country, so they are divided as such as they are not so united. What has been the workers’ hope and confidence in unions as well as in MTUC which acts as the umbrella body? We talk about MTUC being the umbrella body - from time to time, we raise all the workers’ challenges, as well as issues to the government’s attention. One good example is the minimum wage issue; it’s the struggle of MTUC over the last more than 50 years. But through our concerted struggle, we managed to get, first time in the history of Malaysia, where the government introduced the Minimum Wage Act in 2012 and minimum wage was then introduced. It is the work of the Malaysian Trades Union Congress. As well as the retirement age - prior to 2014, there was no retirement age in the Employment Act. It’s just that the Employees Provident Fund (EPF) Act says you can withdraw your EPF savings at 55 - that became an understanding where an employee works until 55. Whereas now there is a law which states that the minimum retirement age is 60. 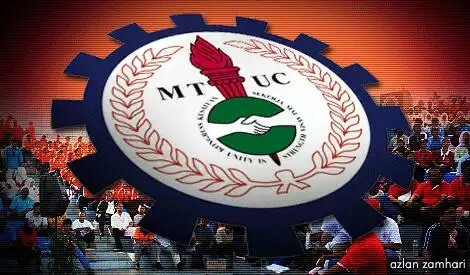 That’s another achievement of MTUC which represents all the workers in the country. Apart from this, from time to time we raise a lot of issues. Some have been taken care of, but there’s also many more that needs to be done in this country. At the moment we are negotiating with the Human Resources Ministry about employment insurance. As of now, closing of operations overnight is becoming very rampant and common, we need to have some sort of, not to say protection - the employment insurance is not going to protect anyone - but at least it will assist those employees (who) have been retrenched until they get another employment. What is MTUC’s stand on foreign workers’ hiring policy? We are not denying that a country like Malaysia needs foreign workers. 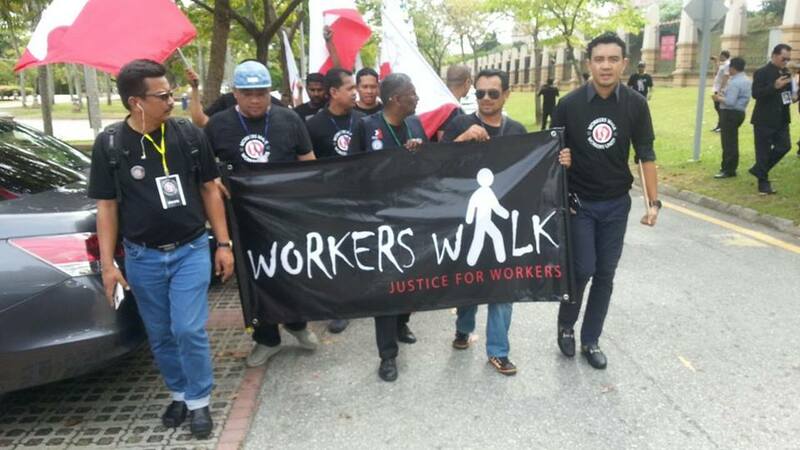 They should also be treated as workmen and given the same rights as Malaysian workers. But what we are seeing at the moment is employers are favouring foreign over local workers. That, MTUC finds it difficult to absolve them. 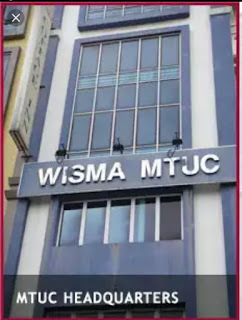 Four months ago, MTUC sent a protest memorandum to the Home Ministry and Human Resources Ministry when they wanted to sign a memorandum of understanding with the Bangladeshi government to bring in an additional 1.5 million foreign workers to the country. Apart from the 2.2 million documented migrant workers, I think we have more than five million undocumented migrant workers and a majority of them enter the country with documents. (For) various reasons best known to the employers and migrant workers, they become undocumented. I will easily say that the contract has been changed. What they have been promised in the country of origin, when they come here, the contracts have been changed; the terms are not the same especially in terms of wages. And of course this group of workers is not rich. If they are rich they won’t come to Malaysia. They are poor, they sold or mortgaged their property to come here with the intention they can earn and go back to their country. But the promises made are not the same and they are in that desperate situation so they choose to work somewhere else to earn extra money because the levy is too high for them. Employers are also deducting lodging provided by them after implementing minimum wage. There are also occasions where employers refuse to pay salary by withholding the salary for a few months. So how (do these workers) survive? So they disappear and work elsewhere, at least they would have some cash. MTUC is requesting the government to resolve this undocumented migrant workers (issue) first before it brings in additional workers. Although the government has said that it is withholding the MOU (on the bringing in of 1.5 million Bangladeshi workers), if you go to the airport, all flights from the source country are still full. Our fear is that, (since) foreign workers are coming to do some skilled and semi-skilled jobs, at least 400,000 Malaysian skilled workers would be affected by this. 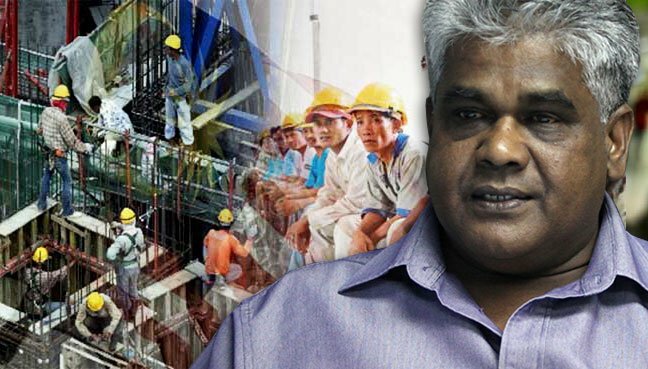 This is our concern, this is why, to stop employers from giving priority to foreign workers, MTUC is urging the government to have a system in which foreign workers should enjoy the same benefits as Malaysian workers, and for the levy to be paid by employers. The argument is very simple. Employers are recruiting foreign workers because they are claiming there are not enough workers here. If that’s the argument, then the employer should pay the levy, not the poor foreign workers. Also, on another issue related to forced labour where employers withhold the passports of foreign workers. They say that migrant workers complain that their passports were being stolen. One employer put forward this question to me and my answer is simple. Every day we read about money being stolen from ATMs but are banks stopping from installing additional ATMs? They are still installing, (and) they have to take preventive (action). In this modern world, I don’t think that’s the reason to hold on to passports because they don’t want to give migrant workers the freedom to move around. You said that all flights from source countries are full, this is based on...? Just go there (airport) and stand, we can see all the flights. Sometimes we go somewhere and when we are coming back, traveling with them, most say they don’t know where they are going to work, but agents told them there is employment. The major culprit in this process is recruitment agencies. At one time we had more than 270 agencies. With pressure from MTUC, it has been reduced to over 100. The government should abolish this third party contract system. If the employer is having difficulties to get workers, he or she must go in under his or her own name rather than a third party. But the real issue in this situation is whether employers are willing to pay decent salary to workers. That’s why MTUC emphasises that the rights and benefits must be the same. For example, Social Security Organisation (Socso) is not extended to migrant workers; initially it was extended (to them). 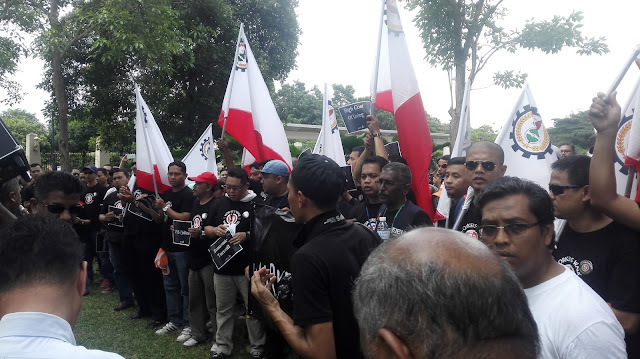 Migrant workers should be protected under Socso. At the moment they are under the Workmen’s Compensation. According to our research, the compensation paid by this insurance is less than 5 percent of the premium they are collecting. (If) less than 5 percent, then what sort of protection are they giving? A bare minimum. There are cases where the dead body would have reached the country of origin and the family still needs to pay some money to the agent. Medical cost has already taken up all the Workmen’s Compensation benefits. That’s why we are requesting - put them under Socso. Also, why not deduct Employees Provident Fund (EPF) contributions (for migrant workers)? When they go back to their country, they will withdraw their savings - that should not be a problem. Then the government will know the exact number of foreign workers. At the moment they don’t have (the figures). That’s why they should allow migrant workers to be under Socso and EPF. Speaking of EPF contributions and benefits, is MTUC satisfied with the current practice? When we checked with those retiring at the age of 60, their savings are not enough. The problem is not so much on the percentage, it is very much on what is Malaysian salary. Over the past 20 years, salaries have not increased. According to statistics, more than 65 percent of Malaysian families’ total income is less than RM3,500. Of course if there is an opportunity, we would appreciate it if the employer’s contribution is improved. 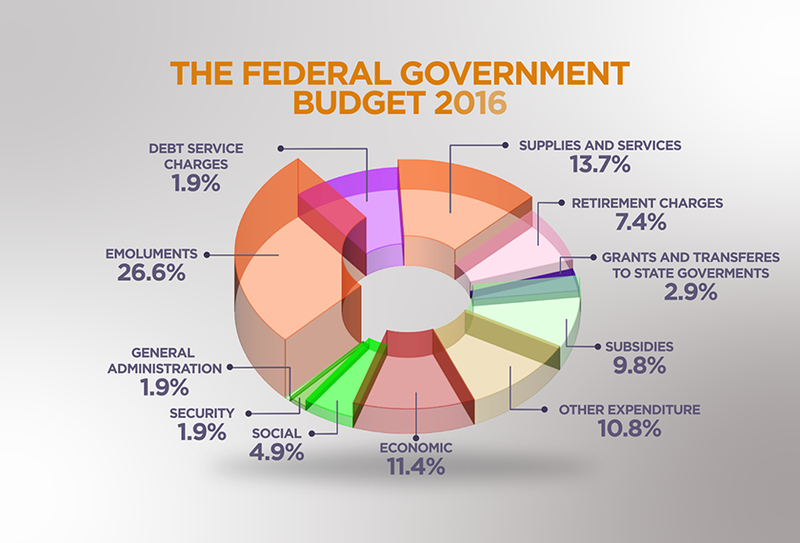 But we are not in the position to increase (our contribution). (Also), we are not happy that the government decided to reduce the EPF contribution. The system has to be changed. The current system is that whenever there is reduction in contribution, those who are unhappy must write in. That is a wrong concept. 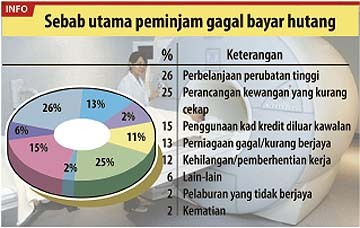 If the system is reversed, EPF will know the percentage of those not willing to reduce (their contributions). Malaysians at the end of the day remain as Malaysians, they don’t take the trouble to notify EPF (about their unhappiness). We are not happy with the reduction but when we raised the matter with EPF, they said this is the directive and if one is not happy, he or she should write in. And we still maintain that EPF contributions should be withdrawn at the age of 55 although one can work until 60, so that workers can pay their house loans.